James Whelan Butchers: Our First Wagyu Herd! Last year I embarked on farming the first wagyu beef herd in Ireland with the intention of introducing the people of Ireland to the great taste of Wagyu. Wagyu beef is a Japanese breed of beef, known for its intense marbling or intramuscular fat. Recent studies have proved that the monounsaturated fats in Wagyu beef can actually help lower cholesterol as part of a healthy balanced diet, making Wagyu far healthier than any other beef product currently available on the market. 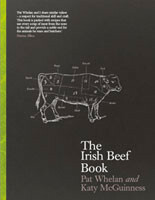 In late Spring of this year, I became the proud owner of one of Ireland’s first Wagyu herd. This innovative new idea to cross breed Wagyu with our famous Aberdeen Angus herd, underpins our commitment to bring new value added products to our customers. The cross breeding has maintained the integrity of the intense marbling associated with the Wagyu beef and marries the best qualities of both breeds to create a unique product. Our first Wagyu calves were born strong and healthy on our farm at Garrentemple. 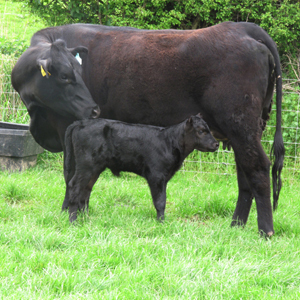 These calves are the first Irish Wagyu herd produced in Tipperary and will be sold in store and online in 2012. We hope to continue production of Wagyu in Ireland in the coming years and hope to develop a loyal following for this unique product. What beautiful cattle – can’t wait to come down and meet your new calves!